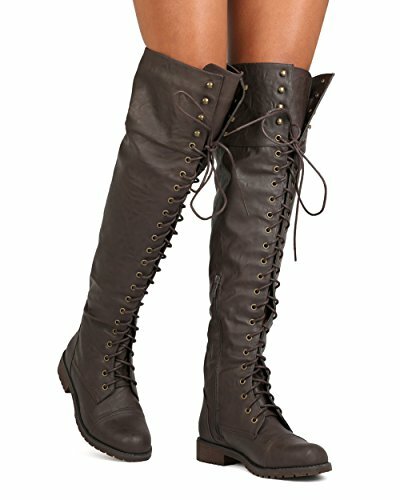 This leatherette combat boot is designed with an over the knee high rise, lace up front, and lug sole. Also designed with a side zipper for easy slip on and off. Measurement (tested sz 6; approx. ): Heel: 1.25", Shaft (w/ heel): 21.75", Opening: 17", True to size, Brand new with original or Alrisco shoe box. If you have any questions about this product by Nature Breeze, contact us by completing and submitting the form below. If you are looking for a specif part number, please include it with your message.